One principal focus of our Company has been the In-School Program. 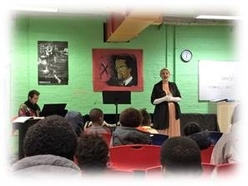 This program supported by a generous grant from the Kenneth & Hazel Roe Foundation, produces opera education and entertainment in the DC Public Schools at no cost to the school system. Teachers, principals and parents have applauded our efforts to introduce classical music into the schools to those youngsters. 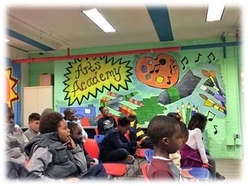 Many of the performances are for those children who are most at-risk and whom would normally have little opportunity to be exposed to this important aspect of education. A shortened performance of an opera such as 'Barber of Seville' is performed and then a question and answer session is conducted with the children. Thankfully, we have been able to produce ongoing programs in the DC schools each year to thousands of our students.